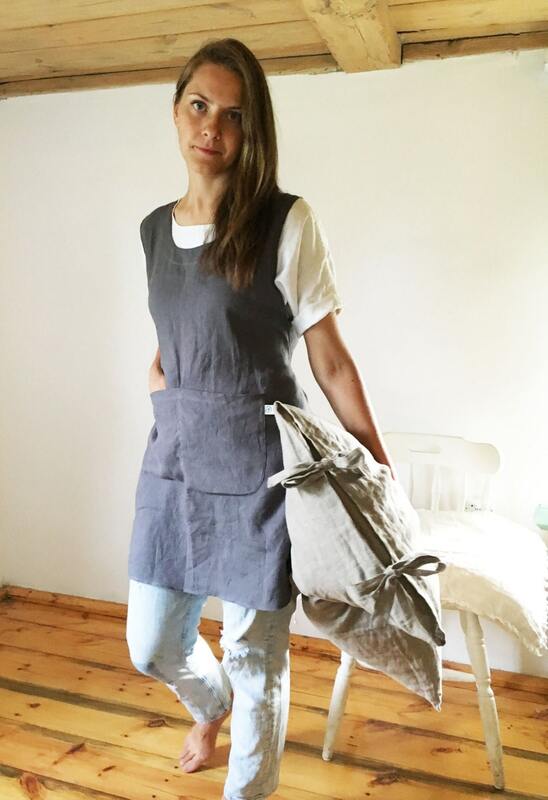 A lovely pinafore apron - almost like a dress. 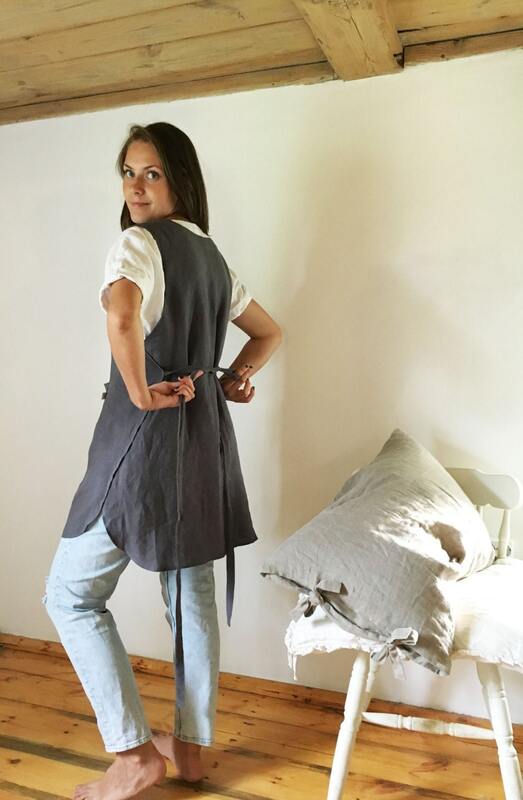 Made from lightweight 100% European linen. 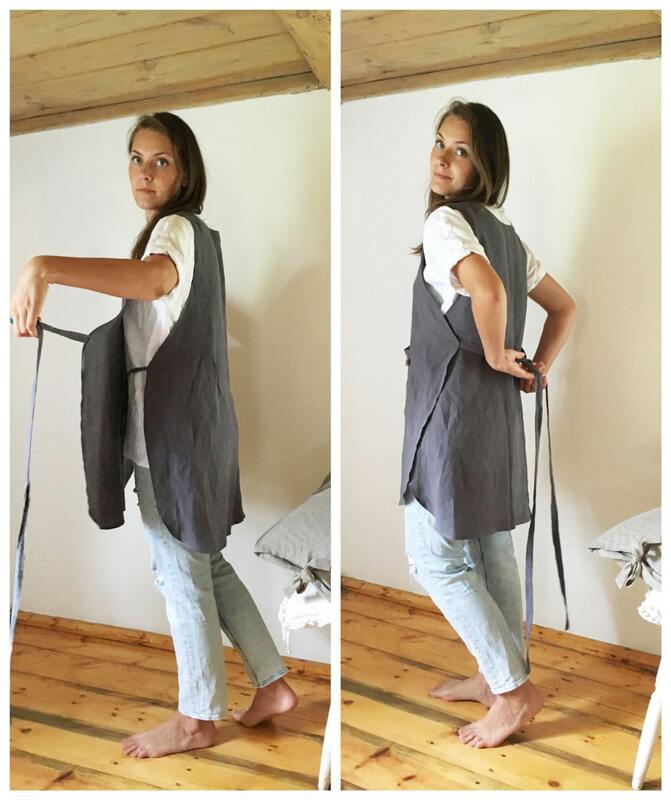 Perfect to use as a coverup while cooking, playing with children, in the garden or in your creative studio. With handy split pocket in front. 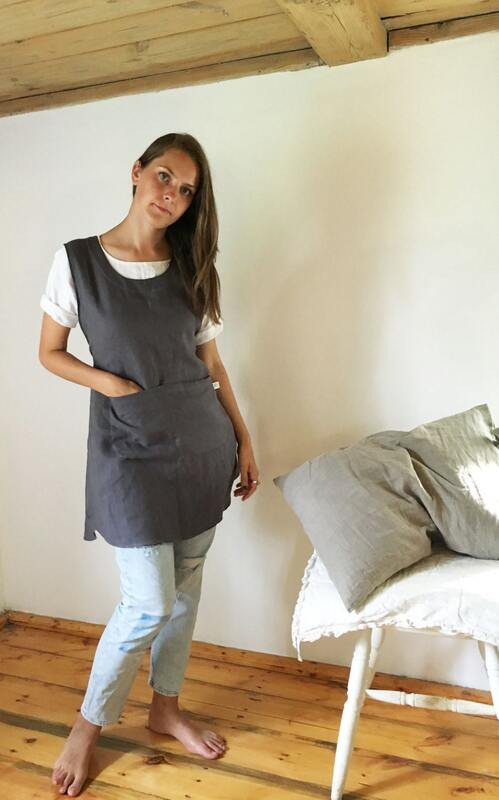 Will look great over trousers or leggings - it is nearly like a versatile linen dress - with ties and open sides. 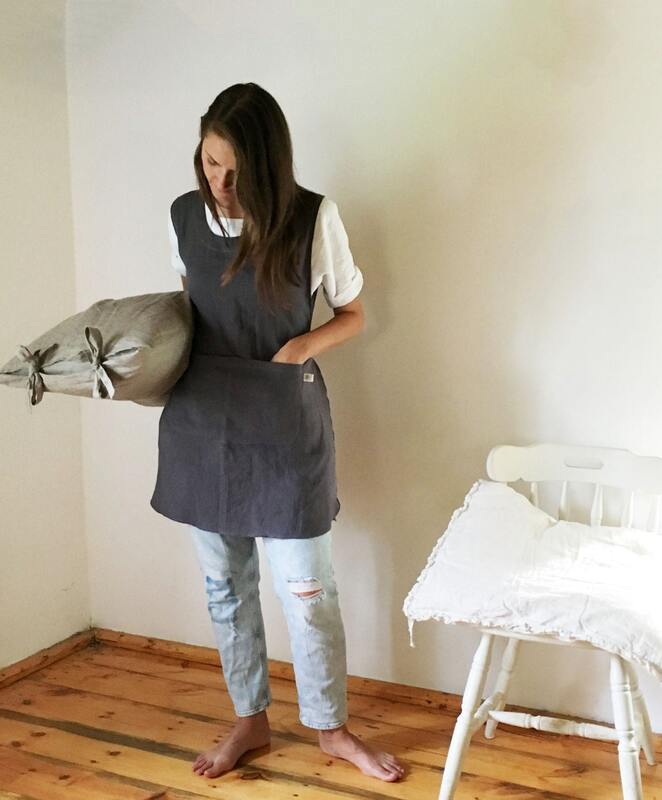 Each pinafore apron is made to order.